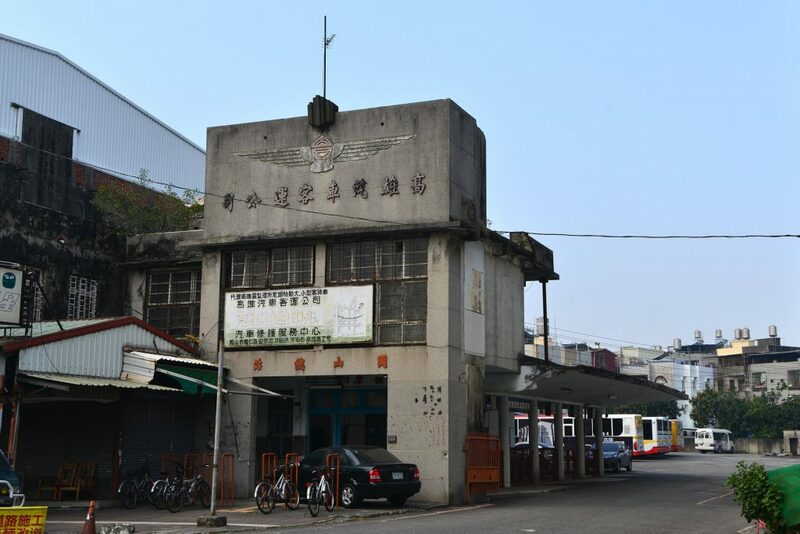 Built in 1963, Old Gangshan (岡山) Terminal of Kaohsiung Bus is the oldestamong all existing bus terminal buildings in Greater Kaohsiung Area. Unfortunately, it has faced the danger of being torn down since March 28th, 2018. Gangshan Terminal, among all its peers, bears special meaning in two aspects. Its rise and fall corresponds to the evolution of Gangshan Town Center. Its architectural structure and design commemorates the operation style and traveling experiences of inter-city bus in the past generation. Currently it is designated as interim monument and the demolishment is postponed. However, the crisis never leaves. Gangshan Terminal still await rescue from all the concerning groups and individuals. The main building of Kaohsiung Bus Old Gangshan Terminal has seen almost 55 years. The scar of the building is such a shock! Luckily the demolishment has been postponed and things are still negotiable. Located on the edge of old central Gangshan, the terminal has become farther and farther from the hub of transportation network since the 1993 rerouting of TRA line and the inauguration of 3rdgeneration Gangshan Railway Station at the same time. Following that are the opening of Kaohsiung Metro Red Line in 2008, and the reform of bus network since then. The once superior location now becomes a burden, an odd position that takes a detour to reach. Past hustle and bustle are gone, leaving the spacious waiting room emptier and emptier. In the middle of 2017, the title Gangshan Terminal shifted its location from the old terminal building to the parking spaces in Bixiu (筆秀), Qiaotou (橋頭),near the Kaohsiung Metro Gangshan South Station. That was when the old building was officially abandoned. 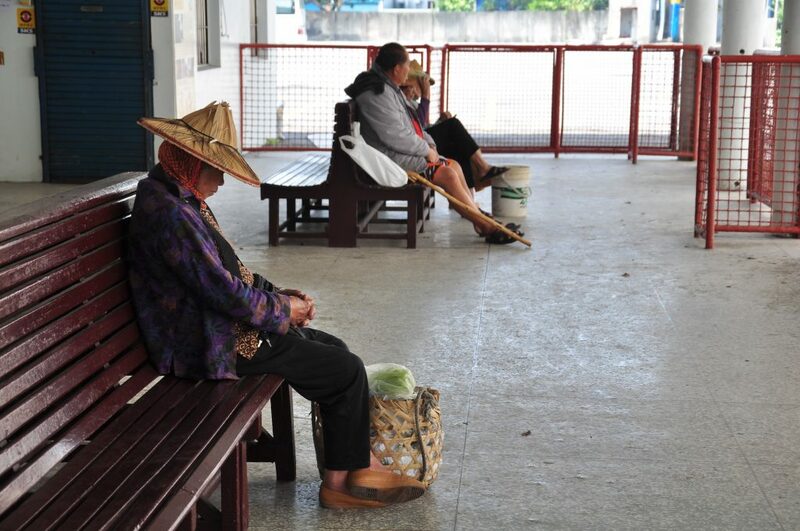 Bus terminal bears the memory of local people. To save a bus terminal is to preserve the trajectory of a town’s development. 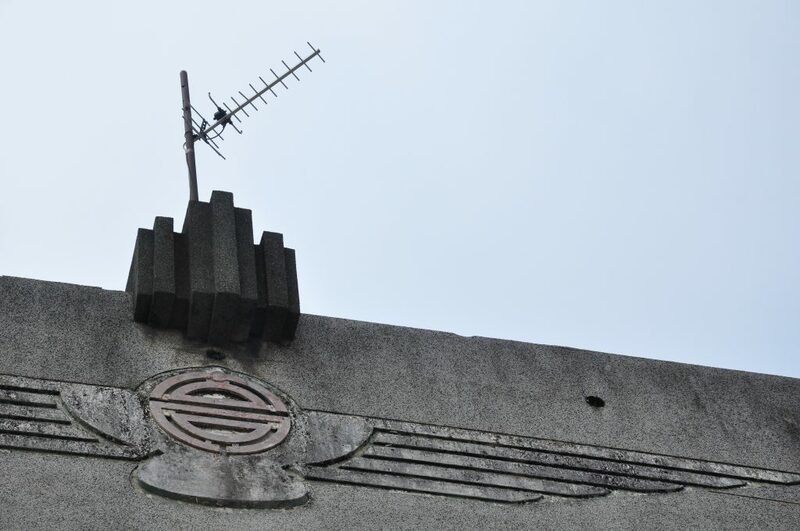 The architecture itself, on the other hand, represents the Modernism style in Taiwan after World War II. The terminal building comprises two parts. The box-shaped two-storied office building stands in the front; the canopy that curves upward at the ends covers the waiting space and platform in the rear, which serve the staff and the passengers, respectively. Though concrete-made, the shape of the canopy makes it look lightweight. The walls are covered with pebble wash finish, along with the logo of Kaohsiung Bus Company and the terminal’s name on the façade. The ceiling inside is embellished with Art Deco styled pattern. These decorations, together with the dual-sash, pushing-out, octagon window between the office and balcony on the second floor, are small surprises beyond the building’s function. On the façade are the embossing logo of Kaohsiung Bus and the shield-shaped decoration. The octagon window on the second floor is dual-sashed, with its hinges in the middle. 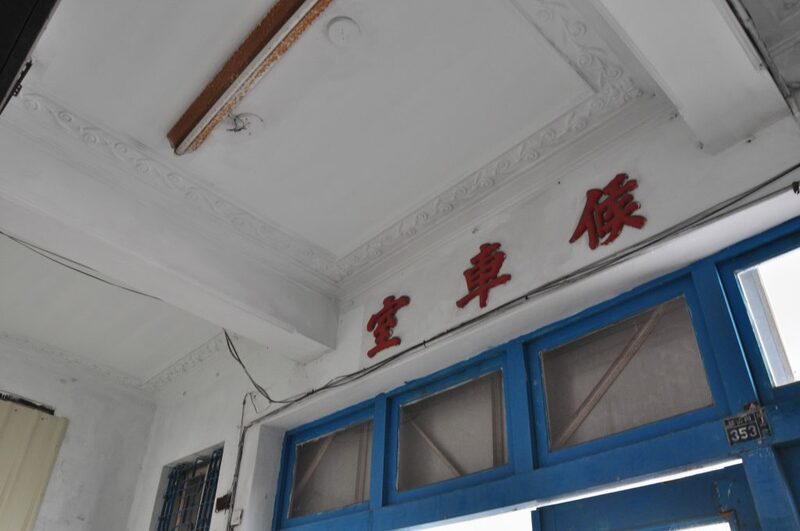 Walking through the antique wooden door, from the foyer to the waiting room, one can see the traces of past operation style. There are two windows between the space for staff and the space for passenger. The ticket window on the partition has been covered by a schedule board since it ceased usage. This reflects the change in fare collection of inter-city bus. The other window is the information desk with curved terrazzo desktop circling the ingeneously receding space. This design keeps the waiting room a complete, broad square. 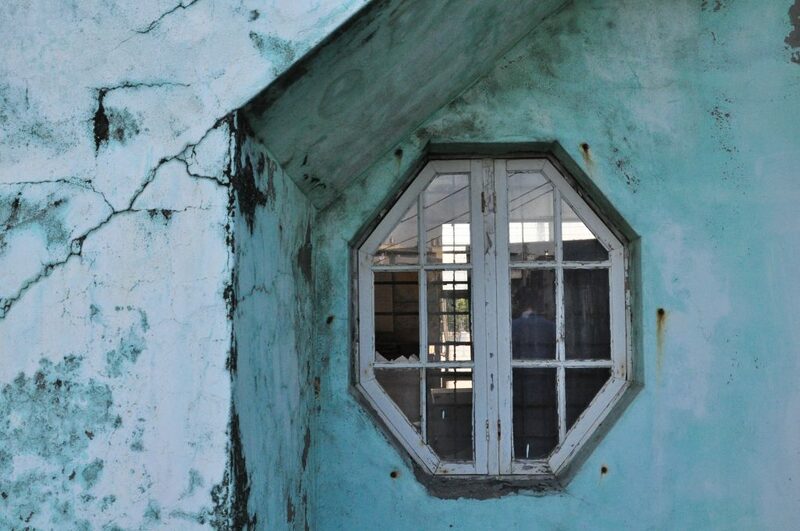 The two windows are well embedded in the building’s original design, stating “form follows function”. Other objects, such as the zig-zag platform, the destination lightbox, all demonstrate that the bus terminal in the past provided a variety of services to passengers, rather than simply operated buses. The blue wooden door and the characters for “waiting room” give whoever stepping in this building their first impression. Zigzag design of platform edge caters the dwelling buses. 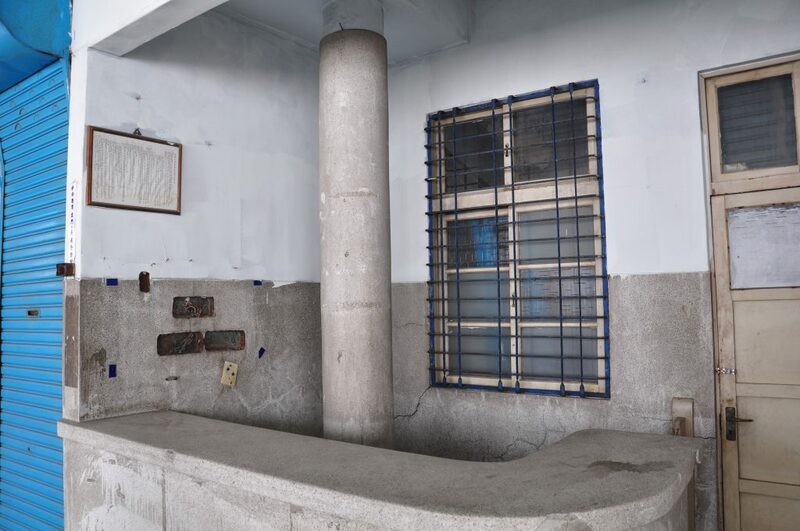 The information desk is ingeniously embedded in the original design of the building. 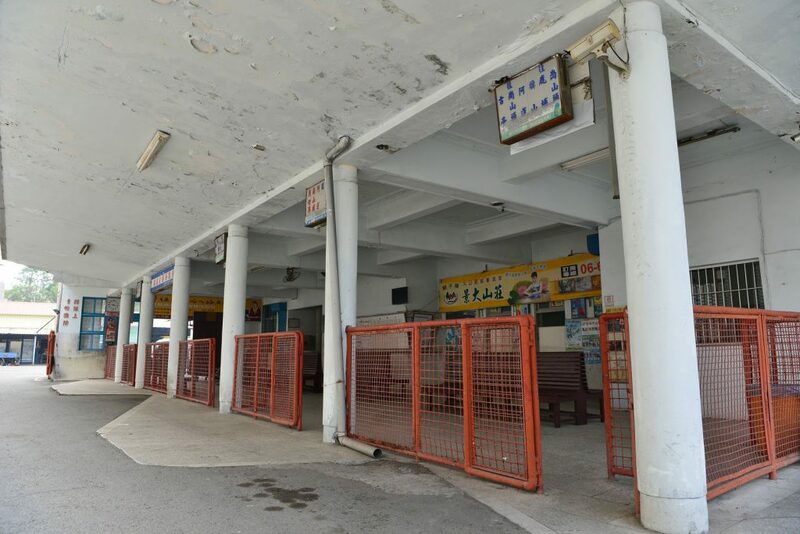 To save one Gangshan Terminal is to save the style of a generation’s bus terminals. 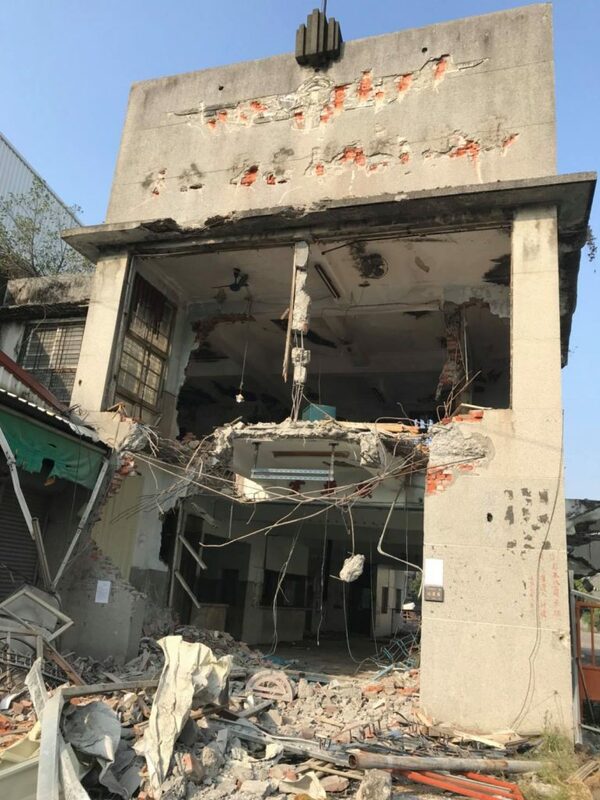 Now, the façade of Gangshan terminal has been destroyed. The entire building is still lingering between life and death. We urge the government be more active, besides just posting a piece ofi nterim monument announcement. It is even more urgent that anybody who cares about this issue should pass the message forward. It has been too long that cultural heritages related to highway tranportation are overlooked. The old Gangshan Railway Station was burned down. Let there be no such story again. The Liugui (六龜) Terminal of Kaohsiung Bus is older in age, and is designated as a historic building. However, the building was originally built as a hotel, not in the form of a bus terminal. 2018 Transport Heritage Society of Taiwan. All rights reserved.